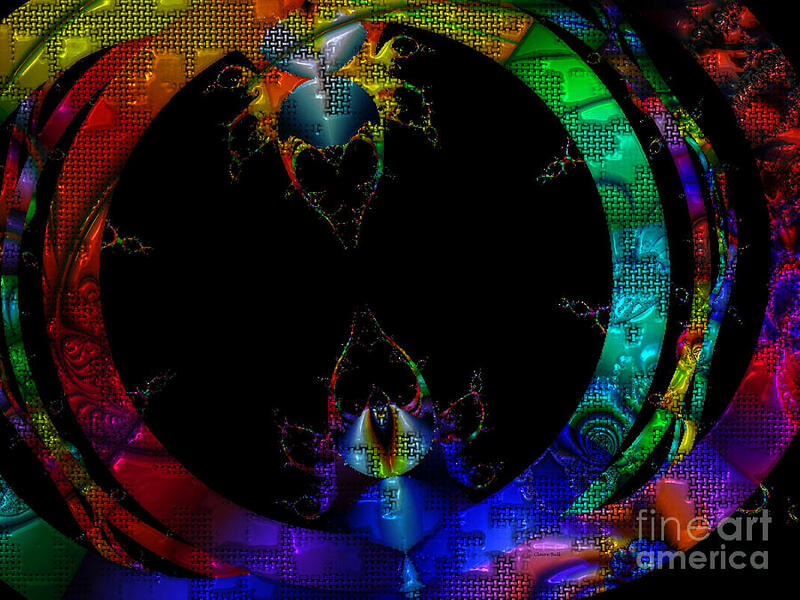 Critter Love is a piece of digital artwork by Claire Bull which was uploaded on January 20th, 2013. Two bugs approaching each other in a circle of rainbow love. It is either war or peace. They are ready for both and I chose love. Their colours are up full strength and their claws are out, in welcome or in combat. These two critters are looking pretty darn happy and in love to me. 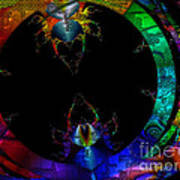 This is a fractal art with lots of colour and textures. My art is available here through Fine Art America and divisions of their company. Watermark will NOT appear on your purchased art. Thank you. 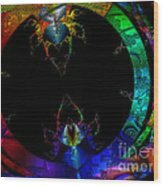 If you need further information about how these items are made or what surface to purchase and how to decide, visit the home page of Fine Art America and scroll down for descriptions of the items available and my art is available on those items. This is magnificent,Claire! The jewel tones are so rich!! Funny Carol, at first I called it Critter Fight - but it looks so happy with all the colours and more of a rainbow love fest haha - and those little baby ones on the side... so it is love not war yes - thanks for the V/F !